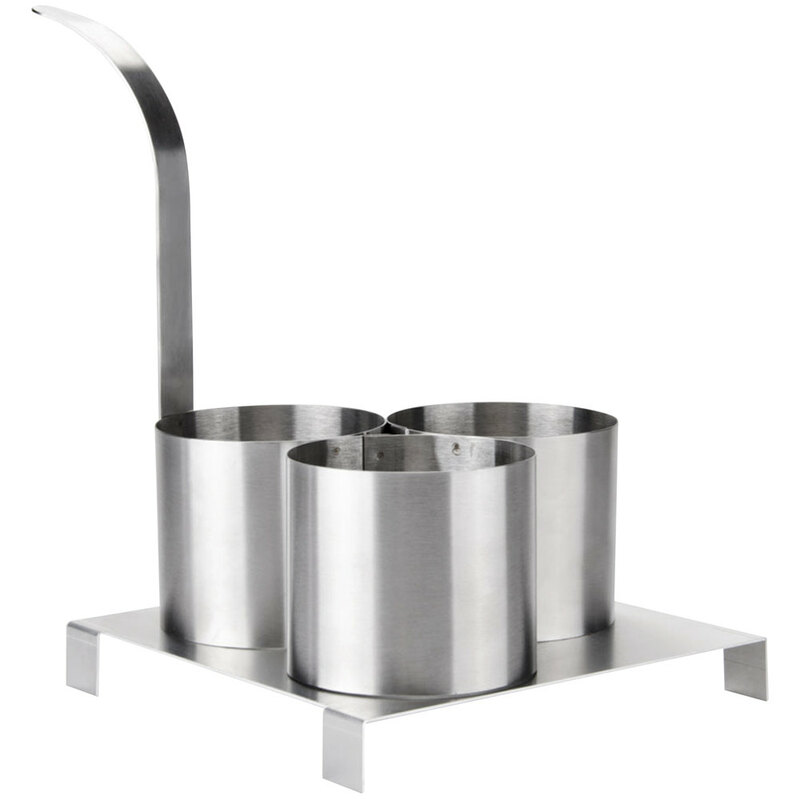 This Carnival King stainless steel triple mini funnel cake mold ring is the perfect companion to any funnel cake fryer. This funnel cake mold ring creates three 4" diameter mini funnel cakes at one time and comes with a plate on which it rests. The "lift-off" ring provides the right shape and diameter for you to create consistent funnel cakes every time, making preparation easy and fun! Simply fill the mold by drizzling funnel cake batter within the ring, fry, then lift off the mold ring and let the cakes float free. Consider adding this mini funnel cake mold ring to your funnel cake accessories so you can make consistently sized mini funnel cakes every time.